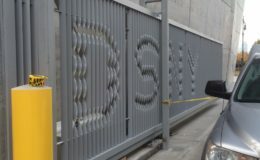 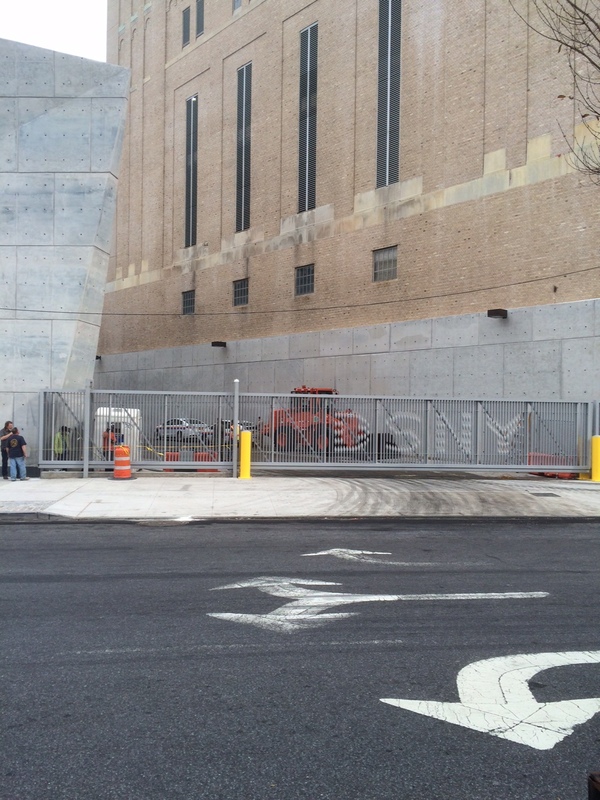 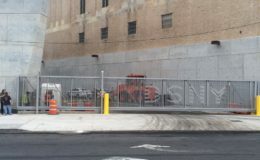 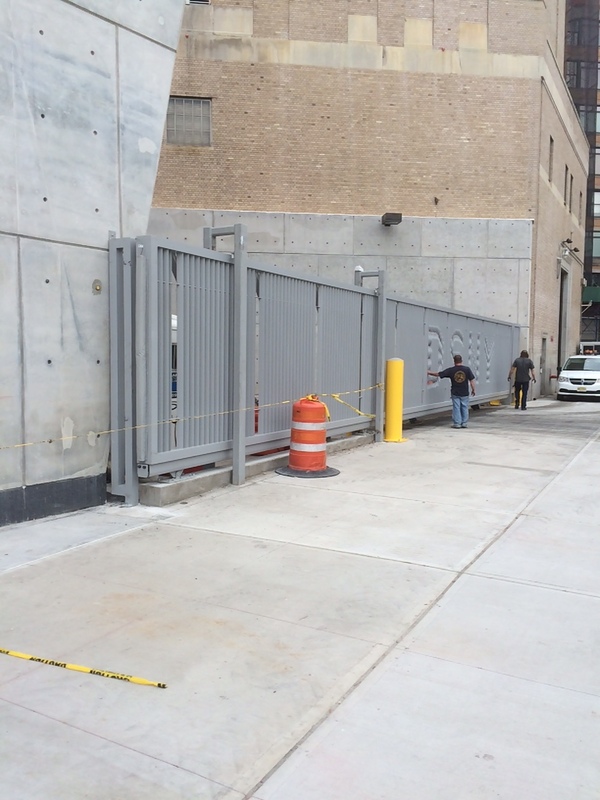 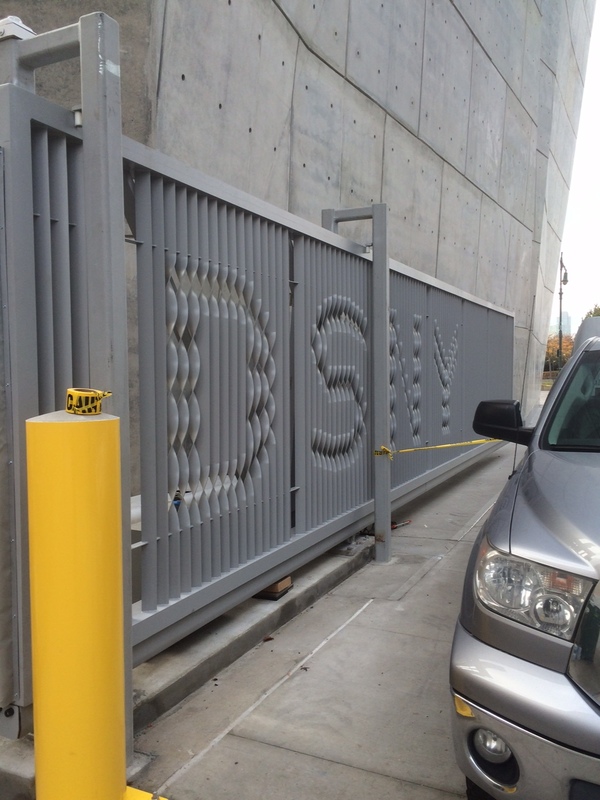 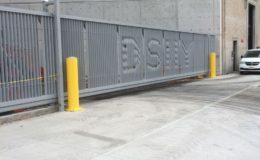 Island Steel & Detailing Corporation did a fantastic job fabricating and installing two large gates using our DuraGates sliding gate hardware at the Spring Street Salt Shed on the Manhattan waterfront. 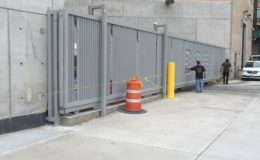 The two rollings gates, 40 feet/3200 pounds and 26 feet/2200 pounds, use our largest steel model, the CGS-350.8G, which can accommodate an opening up to 59 feet and a weight of 4000 pounds. 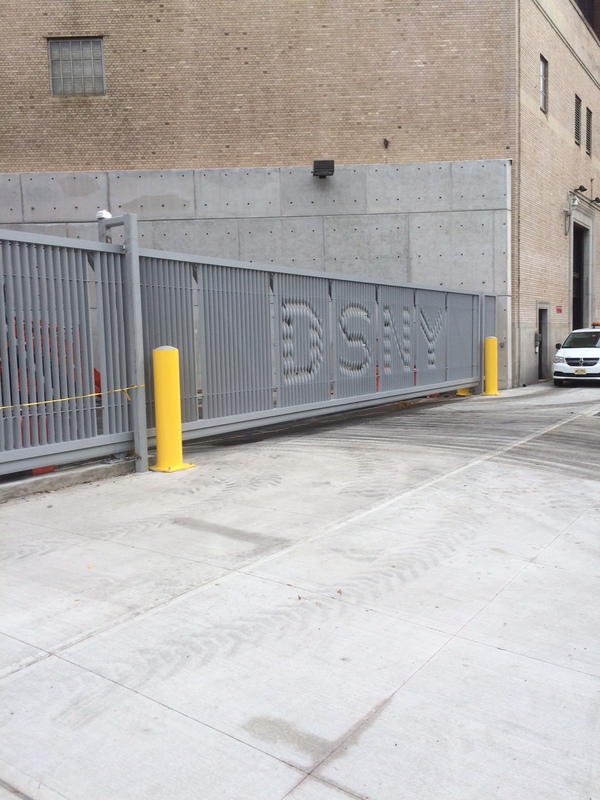 Even though the gate hardware is large, it is barely visible making the gate an attractive addition to the outside of the building.